Spring Lake: Sheriff Shaun Golden wants elementary school students to take the proper precautions before riding a bicycle. On May 2, 200 students from the H.W. 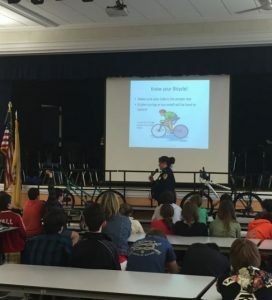 Mountz Elementary School in Spring Lake learned a valuable lesson on bicycle safety through the Monmouth County Sheriff’s Office Bicycle Safety Program. During the program, the importance of wearing a helmet and how to stay safe on the roads while riding a bike were stressed to students. Head injuries are the leading cause of death in bicycle related crashes. In New Jersey, anyone under the age of 17 must wear a helmet while riding a bike. 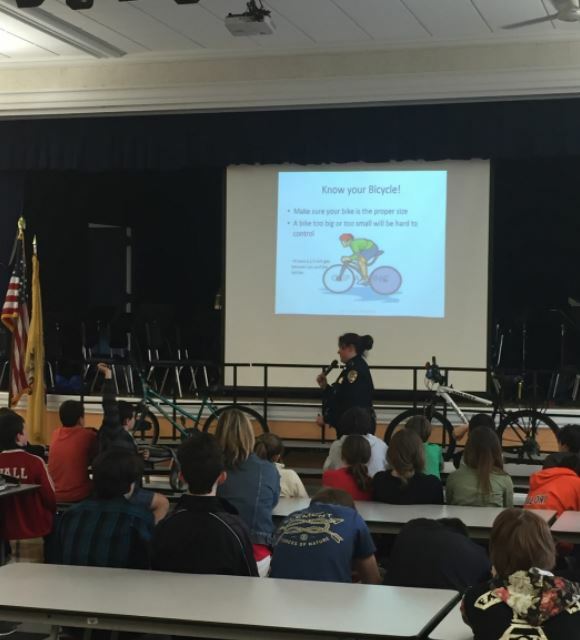 The Monmouth County Sheriff’s Office presents its bicycle safety program to elementary schools throughout Monmouth County. To schedule a program please contact Kathy Morrison at (732) 431-6400 ext. 1122.